Not all the great artists die penniless like Vincent van Gogh. Many of the best-handled creatives have deservedly made a mint out of art. But it is often overlooked that the converse is also true. Several UK coins in circulation are stand-alone artforms and have even been described as a way people can accrue their own private art galleries. This is why The Royal Mint has launched a campaign to highlight the quality of art on its coins. Take, for example, its extremely rare Kew Gardens 50p piece. Christopher Le Brun designed this unmissable coin to mark the 250th anniversary of the Royal Botanic Gardens in 2009. The 62-year-old Portsmouth-born painter's work shows the gardens' famous pagoda encircled by a twisting vine and accompanied by the dates “1759” and “2009”, with the word “KEW” at its base. Only 210,000 of the Kew 50p coins were minted. 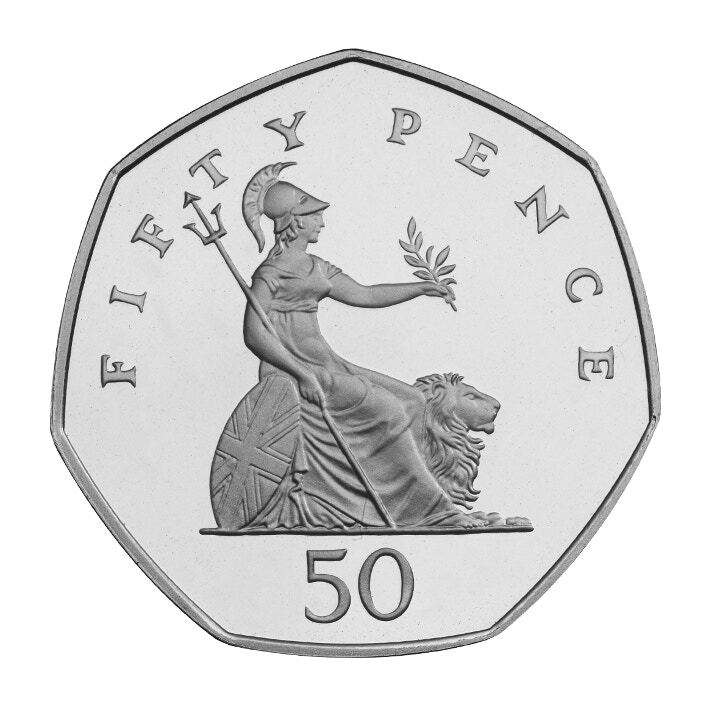 This compares to 22.7 million of the shield of the Royal Arms 50p design in 2008. 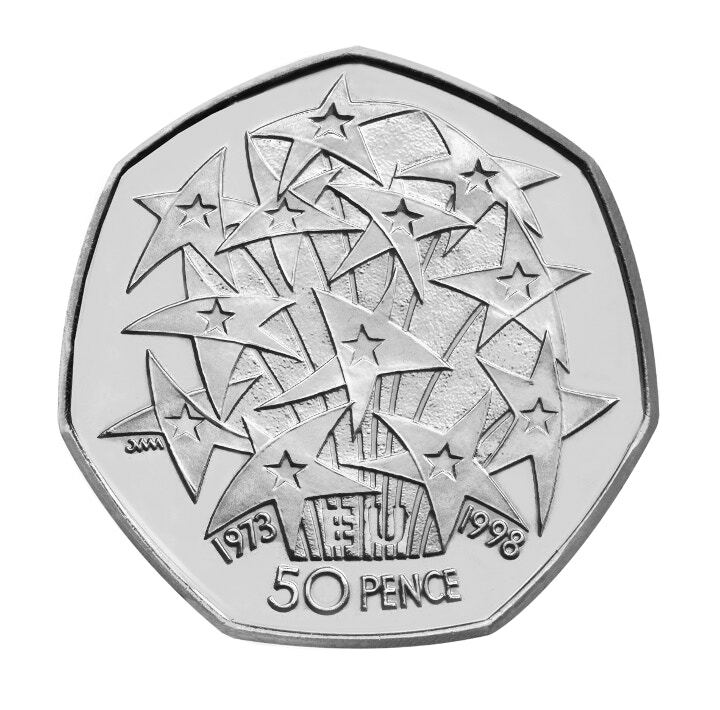 Christopher Ironside designed the original 50p, with a figure of Britannia on the reverse. She is shown sat beside a lion, with a shield resting against her, holding a trident in one hand and an olive branch in the other. David Wynne created this design of the coin's value and date surrounded by nine hands, symbolising each member of the EEC, clasping one another in a mutual gesture of trust, assistance and friendship. 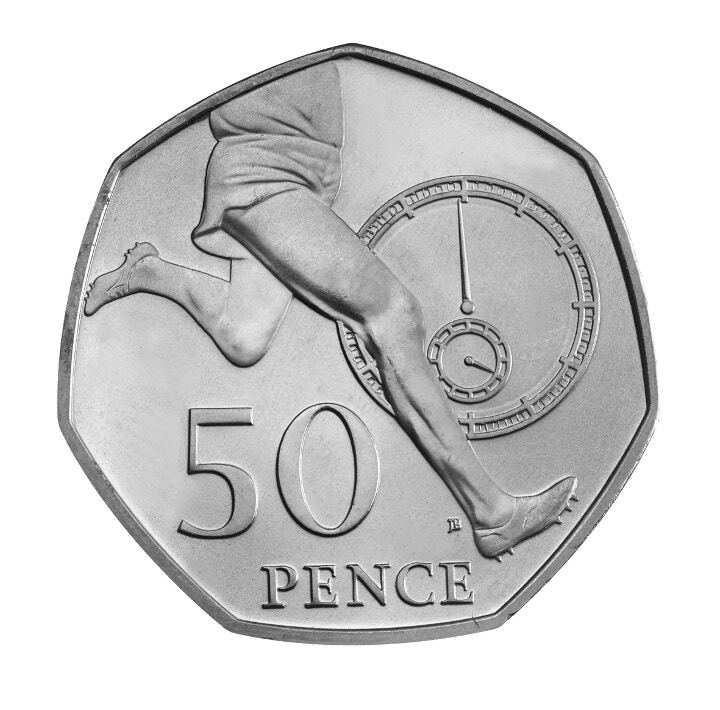 James Butler devised this coin depicting the legs of a running athlete with a stylised stopwatch in the background. Natasha Ratcliffe designed a wheelchair rugby player in action, with the London 2012 Paralympic logo above to commemorate the Games.